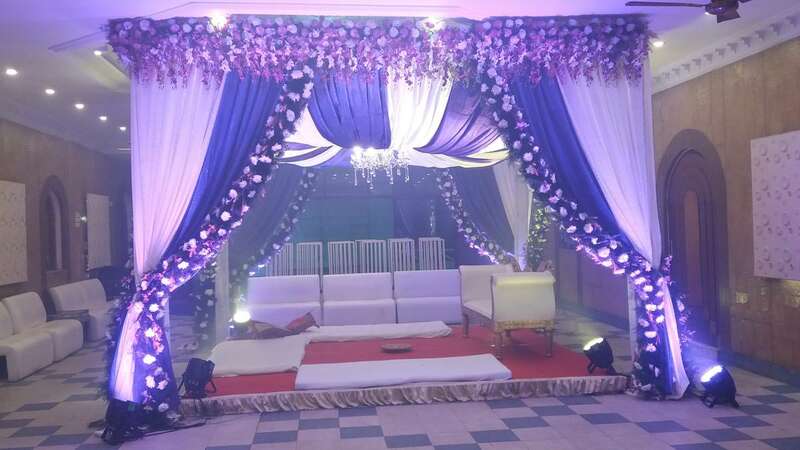 A venue of this standard definitely makes you and your guests feel special. 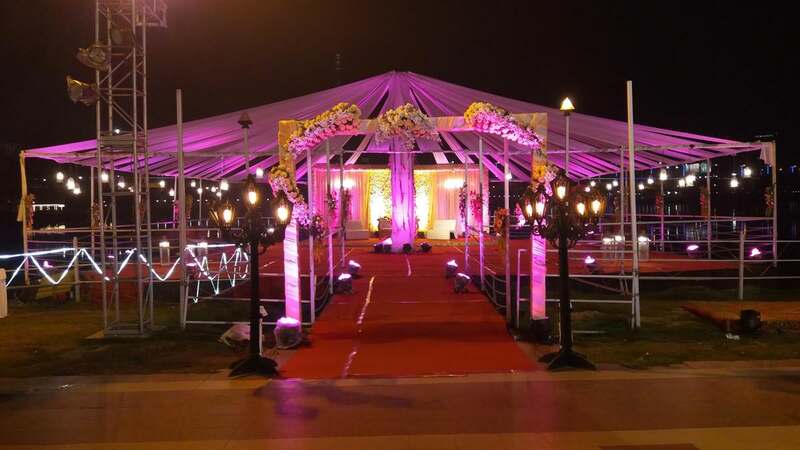 It was incepted with an idea to provide two banquets at one place, thus enabling it to host a large event or function. 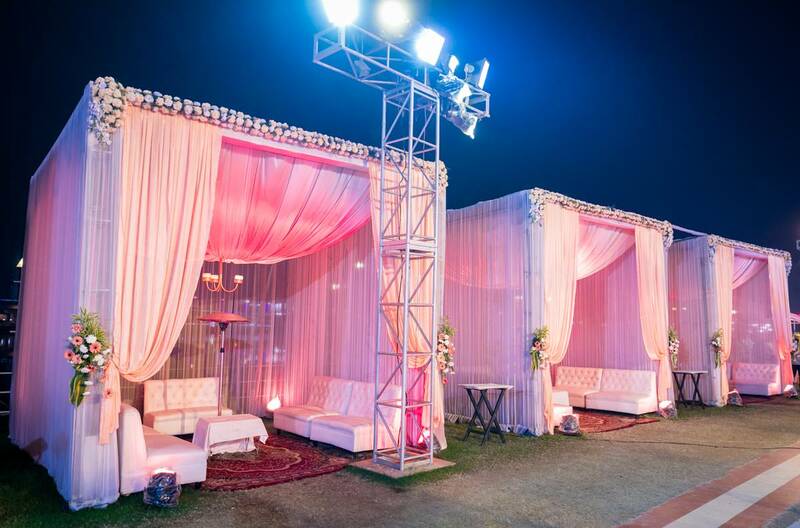 With a combining area of 13,000 sq ft, separate lawn and two banquets of 1600 sq ft each it can easily accommodate 500 – 1500 people at one go. 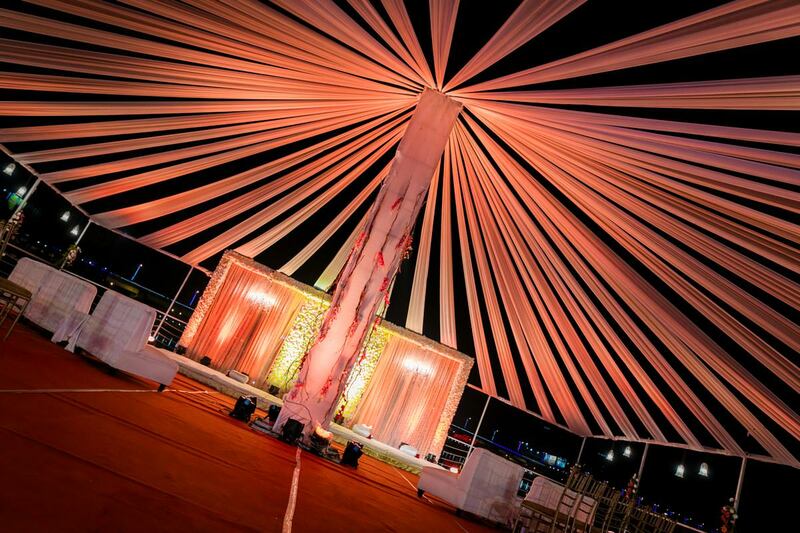 The décor and the lights further enhancing the sight, adds up to the grandeur during the whole event. 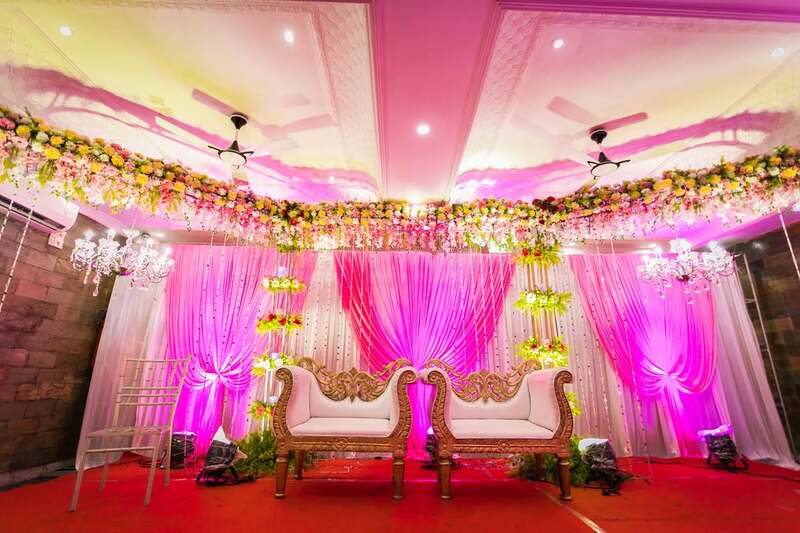 You could customize the venue the way you like, from food arrangements to sitting arrangements. 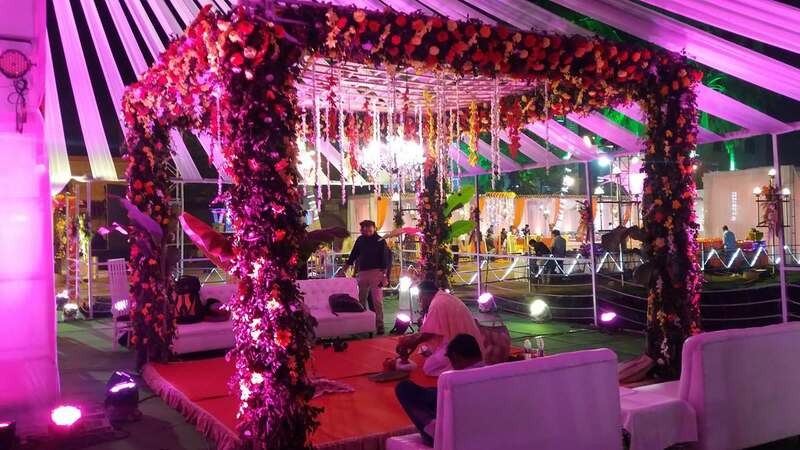 Wedding, reception, corporate events, award functions, live events, sangeet, birthday parties, seminars, bhajan or kirtan, this venue gives you the opportunity to host all. 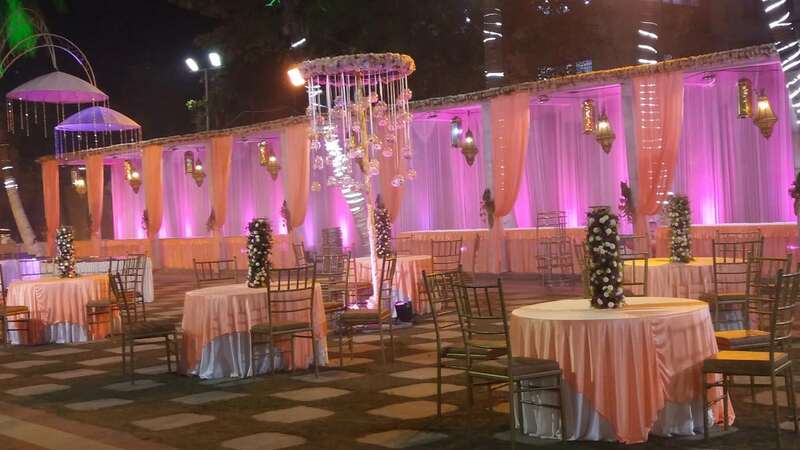 You are bound to fall in love with the beautiful lake by the side, giving you a view unforgettable and an additional 2,500 sq ft platform on water for reception and party.